SKU: 1745907296. Category: Auto Fastener & Clip. Tag: Plastic Clips. 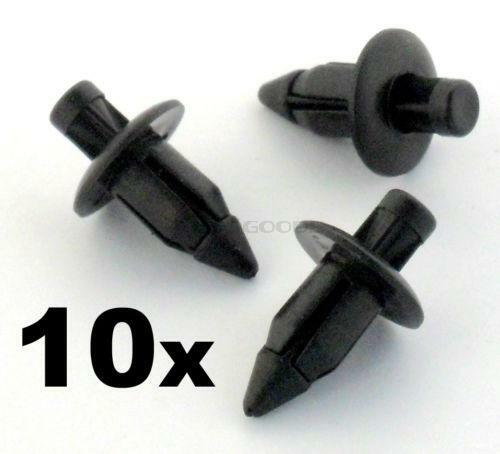 These are small, high quality push-fit plastic rivets used by a wide range of manufacturers. They are for use in a 6mm hole and can be used to retain fairings and other other trim panels. They are high quality clips the OEM parts. Please check the measurements below to ensure that they are suitable. All sales are final:All items come with 30days limited warranty unless stated otherwise in the item description.If your items defective(not due to misuse).you must contact us within 7days.we will arrange or repair or return for the product.Pls note that buyer are required to return the item at his/her own cost.